Miguel Correa at Bill Liebowitz Classic. Photo © John Huber 2011. Whether you know him as Miguel, Miggy, “Flame”, or the guy who’s name is on the YoyoFactory Genesis (as it’s his signature yoyo), Miguel Correa is a 4x US National Champion and undeniably one of the best 5A players of all time. Starting his yoyo career in the late 90’s, Miguel went on to really pioneer 5A and do a lot of great things for yoyoing in general. Miguel has always been someone I wanted to interview, so upon having the chance I was definitely excited to learn more about him! Miguel, you’ve been yoyoing for a pretty long time and unbeknownst to some were actually an important figure in the “midschool” era of yoyoing. How did you start yoyoing in the first place? I have an earlier memory of playing with a yo-yo, but I really started playing in late 1999. I bought a knock off X-Brain at the mall…it shattered within half an hour of play. I took it back and the guy was cool enough to accept it as a return and swapped it out with a real X-Brain. I was young, but even then I knew he probably wasn’t supposed to do that. He hooked it up. Aha, that’s awesome! You eventually became a pretty prominent 1A player back then, but how did you first start learning tricks and get integrated into the internet yoyo scene of the time? Early on I bought some trick books and learned through illustrations. Occasionally, I also read text descriptions online. After I built some skill, most of the learning came from one on one interaction and online videos. Then, after convincing my dad to buy a camcorder, I was able to share online the tricks my friends and I were coming up. We only had a few forums and sites dedicated to yoyoing at the time so it was relatively easy, if you had the tricks, to get people to notice you. Some of your old 1A tricks from back then are pretty cool. How would you describe the process with making up those kinds of tricks back then? Back then it wasn’t difficult to make up something new. The difficult part was making it look good. For me, I always tried to have some fluidity to a trick. My process was generally to come up with an original move, and then find the natural rhythm it wanted. Basically, the tricks found me. I think there are a lot of tricks from back then that might not look impressive but are actually pretty hard as far as the technical aspect goes. You went by the name “Flame” then, right? I remember seeing you in one of Spencer Berry’s Phalanx videos from way back then. Ha! Yeah, Flame was my angsty web handle back then. Wasn’t cool then, still ain’t lol. I was a part of Spencer Berry’s Project Phalanx. Basically, it was an assembled crew of people Spencer deemed worthy. He had a site and we would send him our tricks and he would compile clip videos out of them. There were at least two Phalanx videos I can distinctly remember, “Primus” and “Secundus”. To be perfectly honest, when I was asked to be a part of the project, I wasn’t sure if I was actually good enough. I asked Spencer one time why he chose me to be part of the small collective and he said, simply, “I saw potential”. So, big shout out to Spencer for that motivation. So, I have a debate with myself on a trick I did in the first Phalanx video, “Primus”. During my section I do a trapeze, to a trapeze and his brother, but right before it lands, I whip it. I never gave this a name, but everyone knows it as Jade Whip. That’s the earliest video I personally have ever seen of Jade Whip, so I’m claiming it until further proof is unearthed. I never gave it a name so I don’t know who named it. Wow, that’s awesome! What made you want to gravitate more towards 5A? I had moderate contest success in 1A early on, but my local peers like Jesse Garcia and Eric Hesterman were killing it. They were far and away better than I, so eventually as other styles emerged I decided I wanted to try out 5A. There weren’t a lot of tricks for it at the time so I thought it would be a good opportunity to try and help build something from the ground up. I made that decision around 2002. It was definitely a good one! How was the 5A climate then as opposed to 1A? After 1A overtook 2A as king, I feel it really opened up a spot for a new number 2 style. 5A was really really special back then. There weren’t many players at all and there wasn’t a real trick ladder set forth in the style. The style itself was intriguing enough that you would see pockets emerge of different styles of 5A, in particular in the U.S. I had my style of 5A, there was a distinct mid west style of 5A, and a west coast style too. It was the closest thing in the yoyo world to me like there was regional stylistic differences of the same music sub-genre. Punk sounds different in New York than it does in Gainesville, FL. Something about that spoke to me and excited me. This was all truly something NEW and it was all being developed in wildly different ways. Take that music analogy along with Steve Brown’s extroverted personality, it’s easy to see why people like Tyler and myself gravitated toward 5A and really tried to make it our own. That totally makes sense, I definitely see why you did too. Were you just throwing the standard Freehand 1s then? I remember seeing you throw a Tigershark in one of those Phalanx videos. I was on Team Spintastics early on, then I was on Team Buzz On after that. Somewhere in between I was throwing a lot of Freehand 1’s. I had a nice collection at one point too. For the Spintastics stuff, we could modify Tigersharks, mostly adding weight and later on changing the guts. I figured a way to get Renegade guts to fit and later Spintastics had spacers made to accommodate the Renegade bearing, then they added domed caps and called it the Eclipse. That’s what the Eclipse was? Wow! I’ve always been super curious about the old Spintastics stuff. I’ve thrown the Great White Shark from back then, it was really light but it was possible to add weight rings to that too, right? We used 8 gauge wire to add weight initially, under the cap, then for the Eclipse they added a custom machined brass weight ring. That’s pretty legit! What initially led you to competing to 5A, and what was your first contest? Well, for awhile 5A was part of the open division. So, I lost to 2A players a lot. My first contest was just a local mall contest nearby, I wasn’t even good enough to freestyle. In 2003, U.S Nationals held an exhibition contest for 3A, 4A, and 5A, I won the 5A exhibition. The next year, 2004, the winners were retroactively awarded National Champion trophies at the awards dinner. We were cited as performers showing excellence in our styles and contributing factors to the decision to open U.S Nationals to 5 total championship divisions. Wow, thats crazy! You later went on to win several 1st place National titles since then. Whats your favorite contest you’ve competed in? A great contest is never about what happens on stage. I don’t know if I can pick a favorite, the best stories are ones I can’t tell you here. There are many. Keeping up the theme of 5A, what’s some advice you could throw out there for any aspiring 5A champion out there? Know your basic and intermediate tricks well. Those are the foundations of 5A and knowing those elements and incorporating them into your more difficult tricks will make your tricks look better and score better. Definitely. If you had to pick one from each, what would be your favorite 1A trick and your favorite 5A trick? Speaking generally, my favorite 1A trick is easily Rancid Milk. I think the trick was at least a year old before I saw anyone besides Spencer be able to do it. My favorite 5A trick is one of my own called Siren. I have a tutorial of it up on my YouTube channel. Rancid Milk is actually my favorite 1A trick too, by far. That sounds good! Speaking of which, you run your own site that’s pretty essential called The Definitive. What inspired to start that site? There were a lot of factors that went into that. The Definitive right now is a place for my tutorials to live outside of YouTube. I try to update it with a written piece from time to time, but right now it’s not a priority. I do have more 1A tutorials filmed but I may re-shoot them, eventually. I think it’s a really good site with a lot of good info all in one place. Lastly, what can we expect to see from you in the future? You can catch me at BAC this year. We’ll see what happens after BAC, one contest at a time. I’ll be posting more promo stuff for the new Genesis. The Pulsar Collection Genesis is coming out to online stores soon, but be quick because they are super limited and some of them are already gone, sold at Japan Nationals. Be sure to follow me on instagram @themiggymigs and subscribe to my Youtube channel. Yeah, I think that does it. Miguel Correa recently appeared on the show DNA to promote his role in the yoyo documentary “World On A String“, which is airing exclusively on the Fusion Network. Between “World On A String” airing, Miggy’s appearance, and Patrick Mitchell’s recurring character on the “Good Morning, Today” show, looks like Fusion is going to be a really yoyo-friendly network. The 5A division at this years US National YoYo Contest suffered from the same problem as nearly every other division this year: most of the competitors were pretty good for a State or Regional level, but just couldn’t hold their own on the National stage against former champions. As a result, the division had no real momentum. Dylan Benharris got on stage with a routine that started with thirty seconds of tricks from 2001, and a routine that ended :40 early; Shannon Jackson started his routine with a change-out, up-and-coming player favorite Chase Baxter started missing tricks early and then kept going back after them for second tries, and the normally composed Shane Lubecker looked like he was struggling to remember his routine. None of these guys are bad yoyo players by any means, but none of them seemed prepared for what they came to do…and that was get on stage and challenge Tyler Severance & Miguel Correa, two players with multiple National titles. The most exciting moment of the entire division was Jake Elliot’s inspired rebuild of his World YoYo Contest routine with fresh pacing and a lot of the throw-away tricks removed for a leaner, meaner freestyle that ended in Jake’s first National title and a much-needed injection of fresh blood into the counterweight play winner pool. The counterweight division has been suffering for years now, with legal wrangling killing pretty much all meaningful promotion of the style. The result is a waning interest in behalf of competitors, and what we saw at Nationals this year were two former Champions who are still holding their own but quickly aging out of the competition circuit and only one new contender coming up to represent the next generation of champions. At this rate, it’s pretty likely that 5A will be completely stagnant by 2015 and dead in the water by the time the Duncan counterweight patent expires in 2020. But for now at least, we have three amazing routines by players at the top of their game, and a field of dedicated hopefuls that might stick around long enough to see this division return to its former glory. 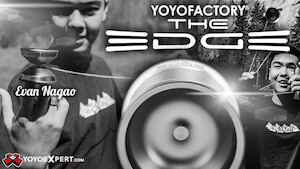 Nationals is coming up fast…the best players in the United States will descend on Chico, California for their moment on stage to compete for the title of US National YoYo Champion. All this week we’ll be featuring our top picks for each division! Defending US National 5A Champion Tyler Severance showed up with one of the best 5A routines of all time at this years World YoYo Contest, and he is definitely at the top of the game. Severance has shown in recent years that he’s getting steadier and steadier on stage…where in the past you could see his pacing start to slip towards the end of his routines, now he stays steady and true until the end. Tyler is first in line for the cup this year, and everyone else is going to have a hard fight ahead of them to take his title. Miguel Correa sat out most of the 2013 contest season to re-focus on work and family, but his level of play is so high that it might not make a difference. All it takes for Miggy to win is for him to wake up feeling good…with him in the mix, everyone better bring their A-game. That said, his teammate Tyler Severance is his #1 competition…we know where Tyler’s play is, but Miggy is coming in with some mystery around him which should make for an exciting head-to-head between these two reigning champs. Sebastian Brock is one of the best 5A players that no one ever talks about. Sebby has said himself that he doesn’t have as much confidence in his 5A play as he does in his 1A routines; but he seems to be the only one with that opinion. His counterweight tricks are clean, inventive, and stand out from the field in a way that crowds like and judges can follow. As the 2010 National Champion in the 1A division, Sebby is in a good position to be one of the incredibly few people to win a national title in different divisions. Relatively new on the scene, Jacob Elliot made a lot of noise at Worlds with his incredibly fast and seemingly out-of-control style in the 5A finals. His freestyle had people flinching at the back of the room, waiting for a yoyo to shoot off the stage. But it never did, and the question for Nationals is: will his speed help him rack up the points to win, or will he outplay the judges’ clickers? Chase Baxter is an up-and-coming talent who is quickly becoming a fan favorite. He’s got an easy-going style on stage that makes him easy to score, but his consistency just isn’t there yet. If he has a good day in the park, Chase could go clean and hit Top 5…but he’s a wildcard and it’s hard to tell what he can do. Shane is another up-and-coming player who made a strong showing at Worlds in the counterweight division. His trick density isn’t quite there yet, but he’s got some really original stuff and when he’s on his game, his trick construction and pacing are really nice. Judges score what they can follow, and Shane is good at playing to the judges. He’s a contender for sure, but he’s going to have to go cleaner than he managed at Worlds if he wants a shot at Top 5. Yoyofactory team member David Ung took a break from his bike-ridin’ dreamboat supergenius lifestyle to pull together a list of his top five favorite modern yo-yo video clips. Seeing as he’s the mastermind behind such modern classics as Broke and Your Future’s With Us, we’re inclined to listen! If you want to see more from David, check out his youtube channel and his stint on the 2012 season of 365yoyotricks, but in the meantime kick up your feet and see what he’s turning to for inspiration for an upcoming new video. Hit it! National YoYo Champion Miguel Correa has posted the last 4 tutorials in his 5A Video Tutorials series at DefinitiveYoYoing.com, and they should keep you busy for a while. 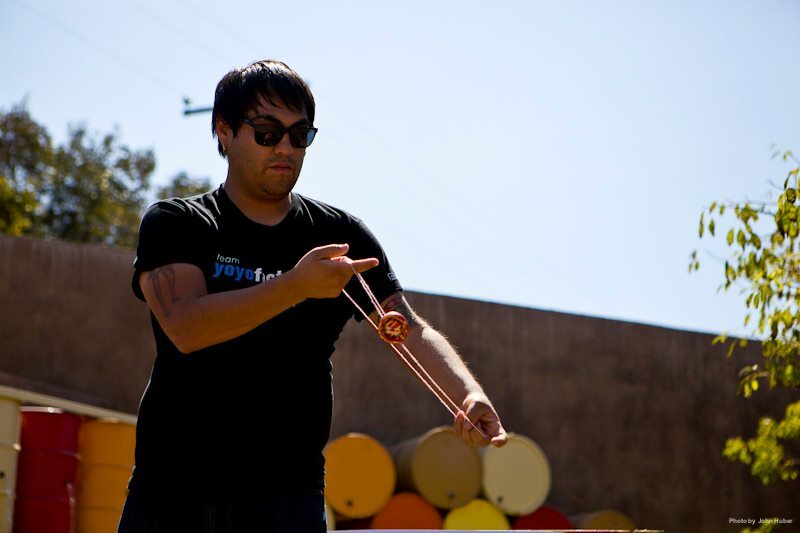 On a personal note, a huge thanks to Miguel for always working so incredibly hard to promote counterweight yoyo play. 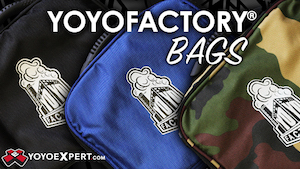 There’s been a profound lack of any real promotion of the style in recent years, but Miguel has always gone the extra mile to make these teaching tools available for new players who want to learn. Thanks, Miggy! 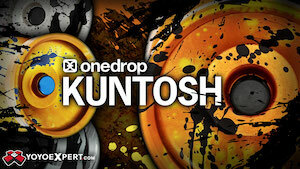 And if you like these tutorials, you should probably buy any yoyo that has Miguel’s name on it. 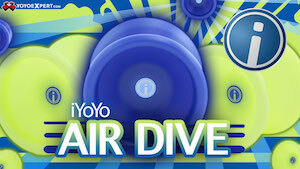 No idea what yoyo that would be, but if you happen to run across one, it’s probably pretty good. National YoYo Champion Miguel Correa continues his 5A Tutorial series with four more tricks guaranteed to keep you busy for a while. 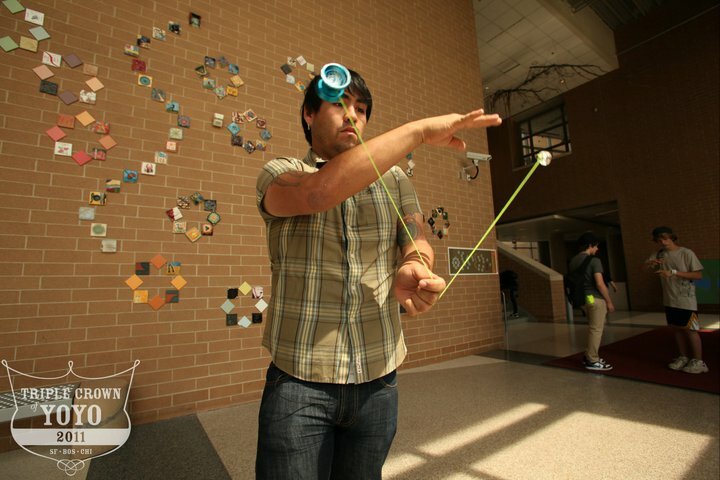 Be sure to check out the rest of his counterweight yoyoing tutorials at DefinitiveYoyoing.com. 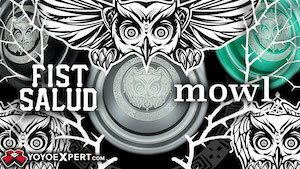 If there’s one thing we love, it’s video of yoyos. If there’s one thing the internet loves, it’s video of cats. Two great tastes that taste great together. Apparently, National Champion Miguel Correa’s cat isn’t so thrilled with his human’s occupation. I started playing fixed axle as a middle finger to the people who said bearings were cheating. I thought there was little reason to throw fixed otherwise. It was proof to the haters that my technique was sound and they picked the wrong person to challenge. For awhile, I was content with being able to pull off the advanced classics on wood; split the atom, barrel rolls, double or nothing with roll away dismount. One day I saw a video of someone using all their might to barely pull off Kamikaze on a wood yo-yo. The yo-yo was spinning so slow you could read the letters on the foil logo as the last of breath of spin exhaled onto the palm of his hand. National YoYo Champion Miguel Correa’s Definitive YoYoing has started with the Level 5 tutorials for counterweight tricks, and the first one up is a Horizontal Tangler. If you haven’t subscribed to Miguel’s YouTube channel, get on it.